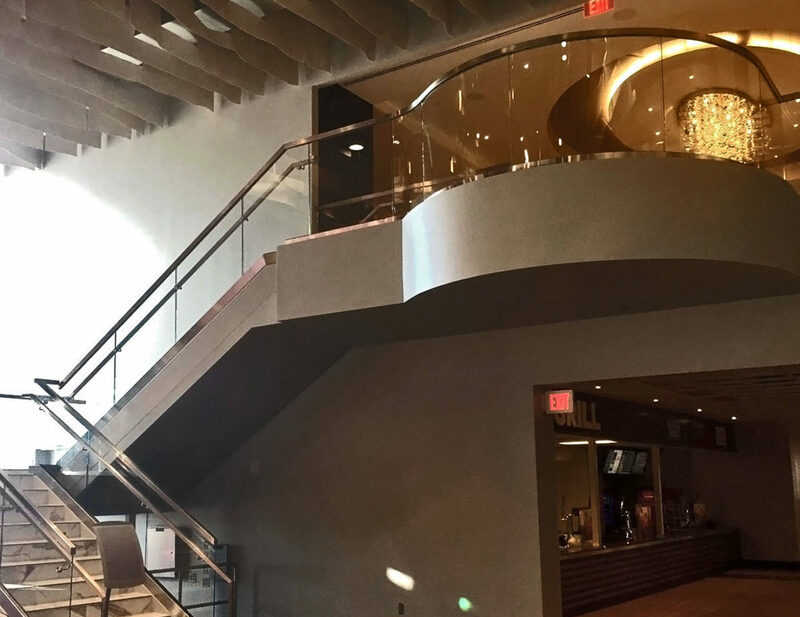 University of Phoenix Stadium - 50-Yard Lounges | Trex Commercial Products, Inc.
Curving railing is a challenging endeavor, requiring careful work and precise measurement. The end result, however, is a grand balcony more reminiscent of a luxury hotel than a football stadium. 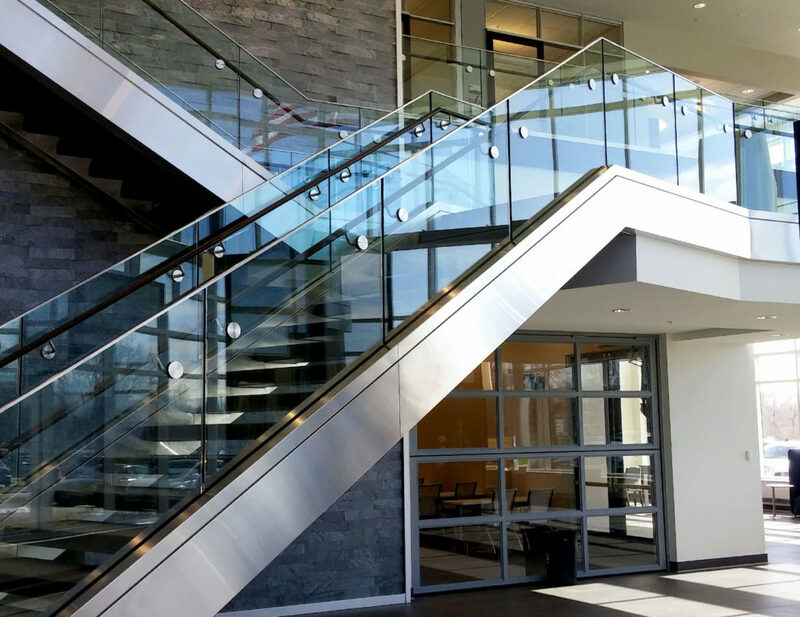 A custom, square stainless steel handrail was attached to the glass railing using through-glass standoffs, offering strong support with a minimalist look. 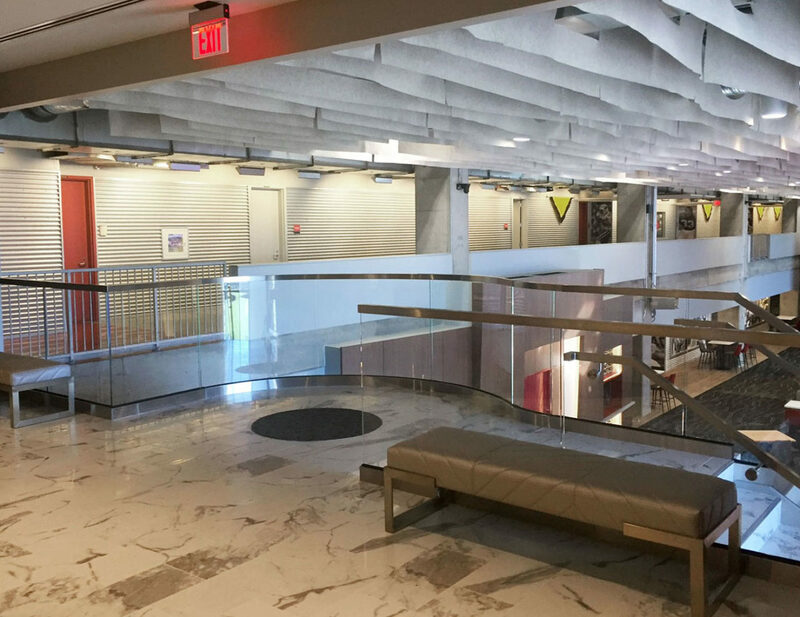 The 50-Yard Line Lounge features Trex Commercial Products’ Track Rail system. 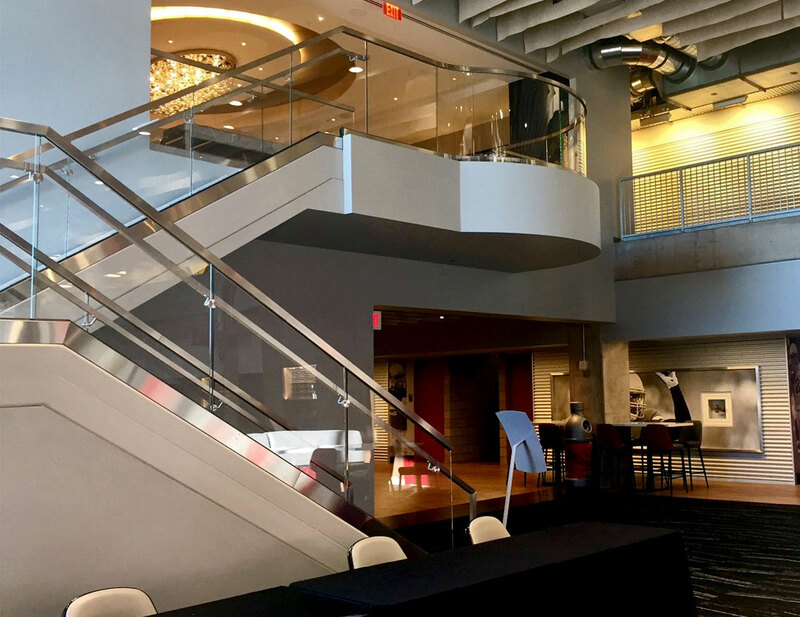 The sleek design of the railing blends seamlessly with the interior of the lounge. 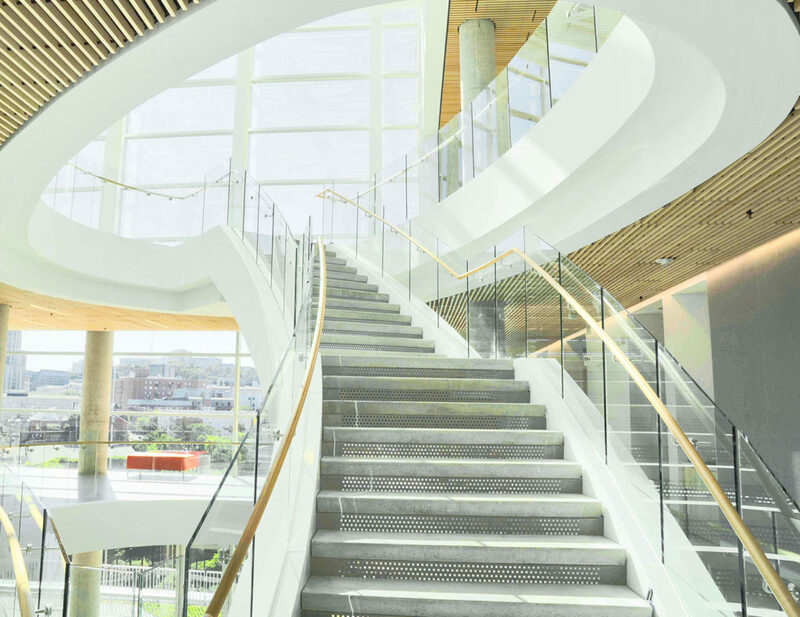 A total of 322 square feet of tempered low-iron glass was used for the staircase and overlook railing. 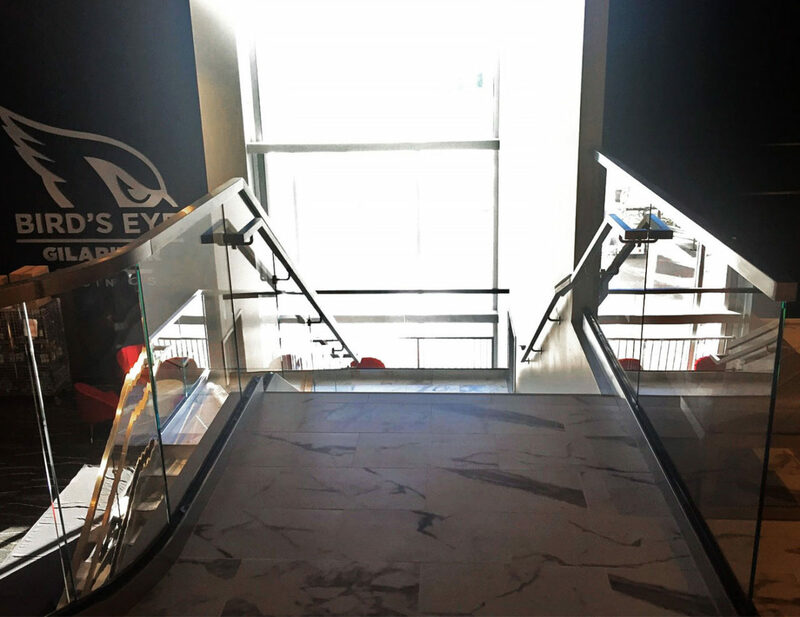 A 2x2” custom square top cap made from 16 gauge stainless steel wraps around the glass railing on the stairs and the overlook. 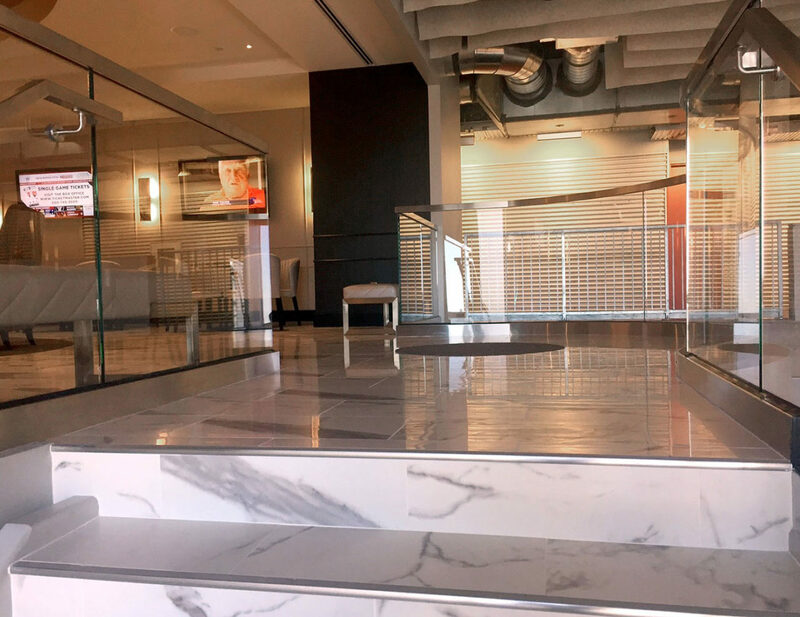 Clear, low-iron tempered glass with polished exposed edges and TCP’s stainless steel top rail create a luxurious setting for enjoying game-day events. 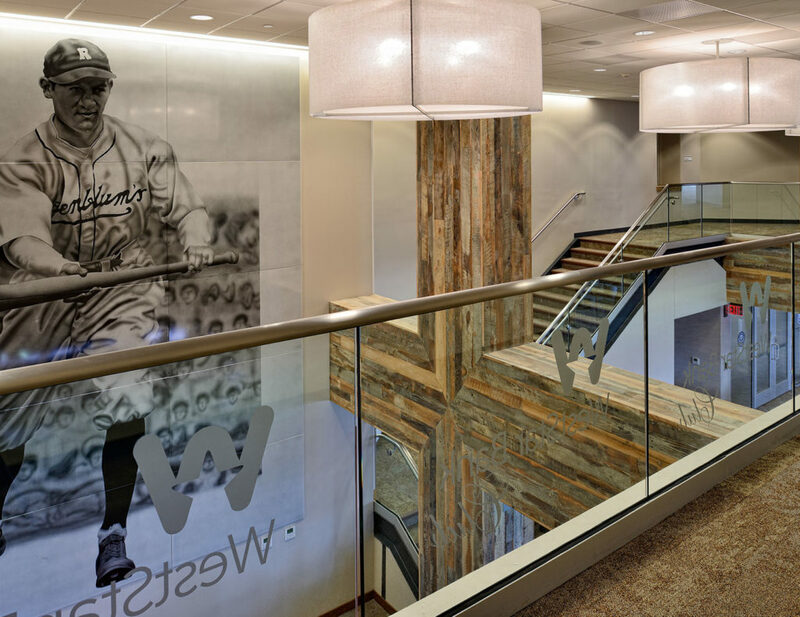 The Arizona Cardinals envisioned a more sophisticated Club Level at the University of Phoenix Stadium, and with the recent opening of the 50-Yard Lounge, they scored a win by effectively combining luxury, entertainment, and of course — football. 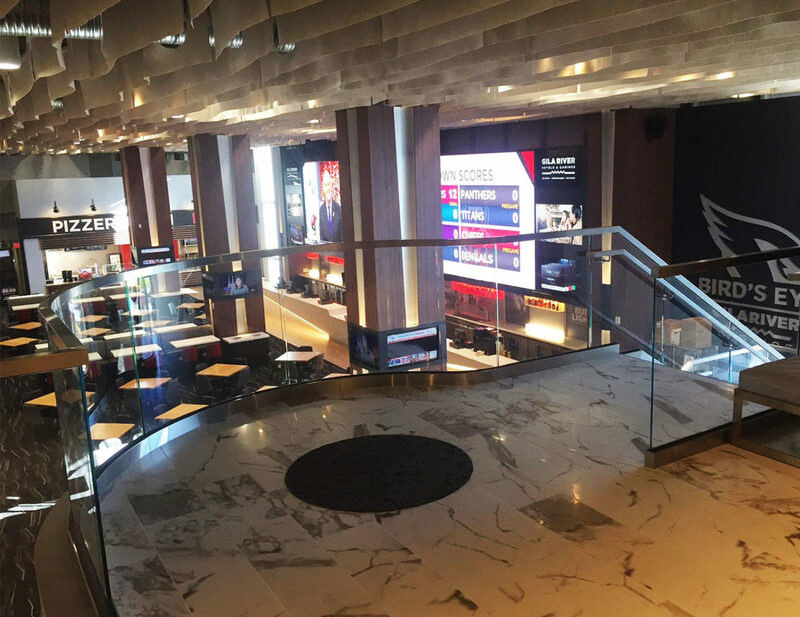 Completed in 2017, the renovated lounge features extensive upgrades, including an HD/ LED video wall, illuminated bars and upgraded finishes. 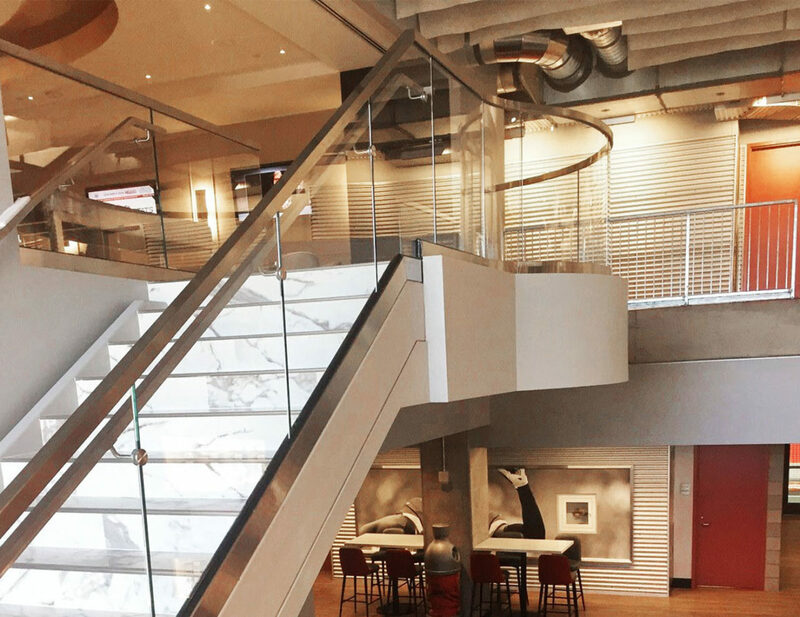 Trex Commercial Products’ Track Rail was central to creating an inviting experience for Cardinals fans. Aluminum base shoe style railing using laminated or fully tempered glass infill.